How are you most likely to get your fix of the latest news these days? Tuning in to CNN? Picking up an actual printed newspaper? That's so retro, man. For a lot of us, phones are our gateways to what's happening in the world, and we discover the hottest stories with the help of social media. But now there's growing concern that Facebook may be exerting its own influence over what stories it labels as trending, exhibiting some political bias in the process. Gizmodo published a report yesterday claiming that ex-Facebook staffers admitted to an anti-conservative bias in the stories curated to appear as the top trending news articles. Rather than relying on algorithms to display trending stories solely based on natural factors like user shares or click-throughs, these staffers say they were told to manually enhance the visibility of certain posts, often those expressing a more liberal-friendly agenda. Now a U.S. Senate committee is investigating those allegations, saying that Facebook must be held accountable for transparency in how it presents news stories: if “trending” stories are really ones Facebook is actively promoting, users have a right to know. Facebook has already stepped up to deny the initial Gizmodo report, saying that a review has failed to turn up any evidence that liberal-leaning posts were boosted in the matter described. The site also reiterated its formal guidelines for the trending-news review process. Do you trust services like Facebook to act as impartial conduits to news, or do you expect some degree (even if unintentional) of bias? 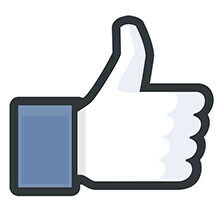 Do you think the Facebooks of the world could be doing more to explain just how and why certain stories are promoted? Share your thoughts with us in the comments. So the hell what? Who says any specific outlet needs to be neutral? "trending" news is usually about some Kardashian or Jenner or other such bullsh!t anyway. What a crock of sh!t. If they are going to go after a media group for pushing an particular agenda instead of just reporting the news, why don't they go after the actual media? Impartial news reporters that just present the facts and let the reader or viewer decide what their stance is are extinct. Okay...Fox News has had a very blatantly obvious pro-conservative bias for years now. Why not go after them? They trend what the status quo wants you to know. Well... The senate is conservative. How ironic that they have their own bias. We all know all media is bias and they want ratings. Whether it's from conservatives or liberals. Cmon. Facebook is not a news app; it might provide news, if someone wants it to, but it's not in the news business. It is too bad that so many young people get news from Facebook because they have no real news credibility. If I watch CNN or Fox News at least I know who said it. What you see on Facebook is what they want you to see not necessarily what is the full news.